There is a bigger push these days towards purchasing ethically made products. It is fantastic when you can know that the makers of your products receive fair wages and have access to good working conditions. What about taking it one step further? We offer ethical purchases that educate children in South East Asia, so you can be happy to know the maker, the buyer and an NGO (non-government organisation) benefit. This year we are donating 10% of our profits from your ethical purchases to Human and Hope Association, a registered NGO based in Siem Reap, Cambodia. This community centre is entirely run by local staff who know the culture and the community well. Human and Hope Association was originally an evening English school that was run by Khmer volunteers. In 2013 they were registered as an official non-government organisation in Cambodia, and have not looked back. Human and Hope Association’s education program supports 180 children daily. These students study at Human and Hope Association in addition to public school, which keeps them very busy! English classes are a favourite of the students, as they get to learn the basics of the English language in fun and interactive ways. These classes are crucial for the children, as Siem Reap is a tourist town, and English is required for any hospitality job. The teachers have developed their own textbooks to maximise learning outcomes, and for the past two years 88% of students have passed their semester exams. Last year, your ethical purchases provided English education to two Cambodian children. Art class is held every Sunday at Human and Hope Association, with up to 30 students participating. As creativity is often stifled at public school, this program is essential for promoting creativity and independent thinking. 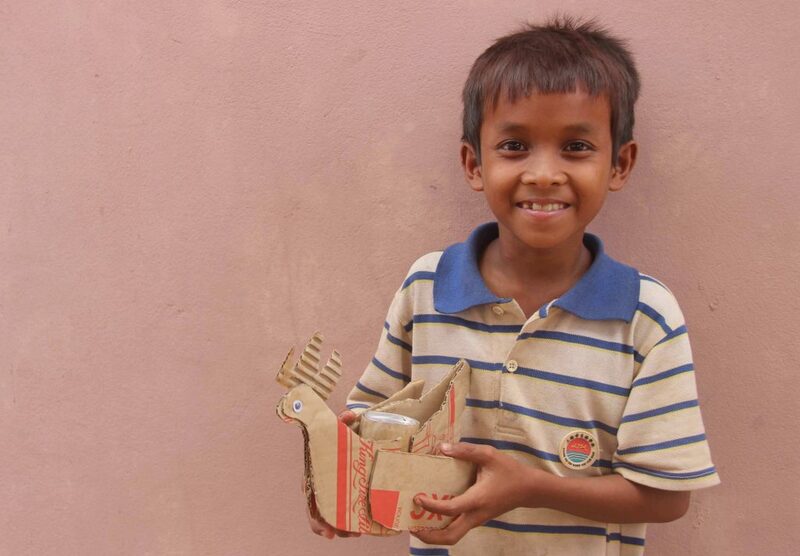 The students often use recycled materials to make their creations, which also promotes environmental responsibility. They even get to eat a snack each week; a piece of fruit that is grown in Human and Hope Association’s chemical-free farm. The Khmer language program teaches the native language of Cambodia to students. Although these students study in public school, due to inadequacies in the public school system, many are illiterate. That’s where Human and Hope Association come in. They teach Khmer language and mathematics to these children, and in six to 12 months they can read and write in full sentences. 100% of students are able to move up at public school, with many even coming in the top 10% of their classes! Last year, your ethical purchases provided Khmer language education to four Cambodian children. The library at Human and Hope Association is open six days a week, and provides students with access to a large range of books, educational games, flash cards and puzzles. This is important as the students otherwise wouldn’t have access to educational materials that expand their knowledge and opinions. The library is overseen by Human and Hope Association’s dedicated Librarian who ensures the students understand the importance of taking care of the books. The preschool program is aimed at five-year-old children who are yet to start public school. 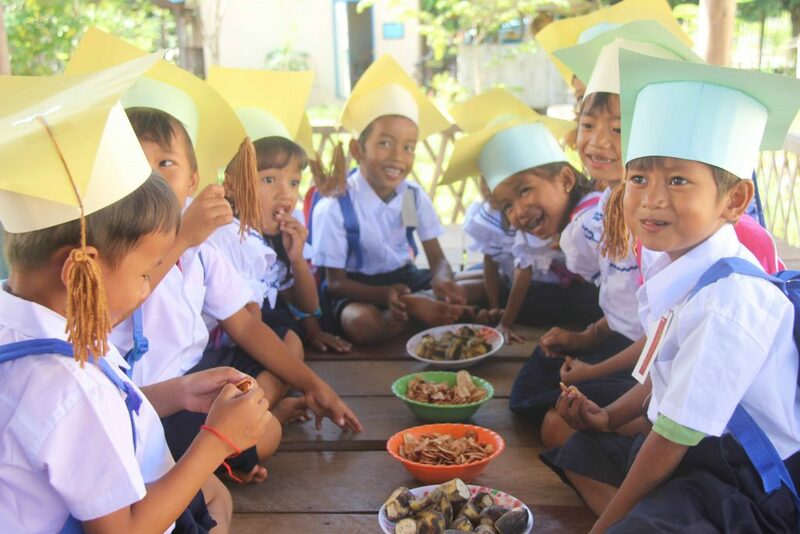 These children are provided with a safe learning environment where they learn Khmer language, living values and hygiene, play games and create art. Without the preschool program, these students would either have to go to work with their parents, stay at home alone or work themselves. This program sets them on the right track to an educated life, and 100% of the students transition to public school after graduating from preschool. Last year, your ethical purchases provided preschool education to 10 students for a month. Aren’t these projects fantastic? 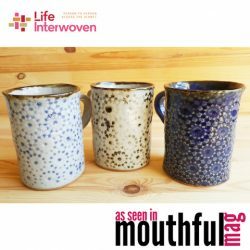 We at Life Interwoven are so happy that we can provide our customers with the opportunity to support education with your ethical purchases. We salute the wonderful team at Human and Hope Association who work so hard to educate their community, and we salute our customers, too, who support them to make this happen. This year we are determined to make a bigger impact with your ethical purchases. Together, we can break the cycle of poverty through education. Will you join us?